A few months ago a friend contacted me about making some cookies to give as party favors at a Fall fundraiser she was hosting. The event was to raise funds for some new playground equipment in Central Park, NYC. She wanted trees or playground equipment cookies. I didn’t think I had the skill level to make anything that looked like a swing set or a teeter-totter but I thought I could probably do a credible tree. 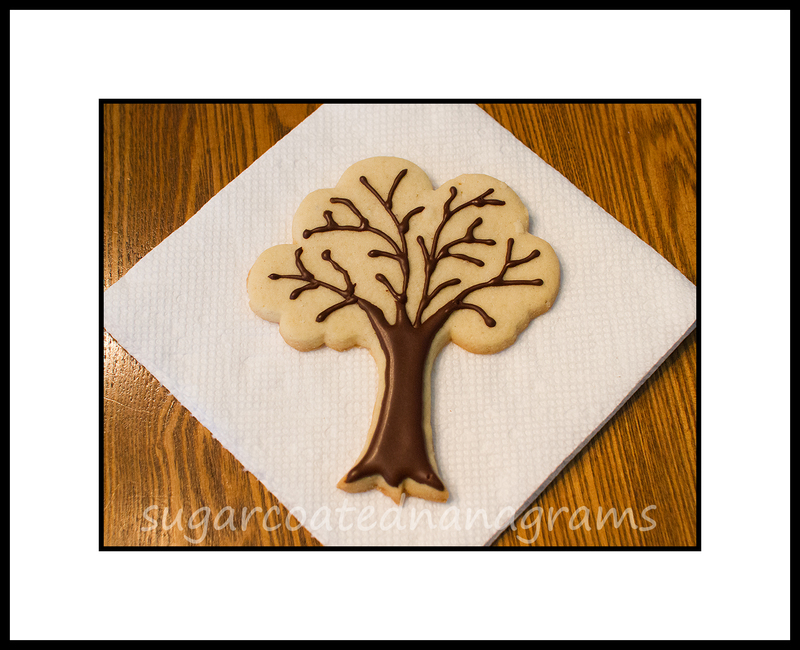 I made a sketch of a tree and hand cut a couple of cookies to send her for a sample of what they could look like. 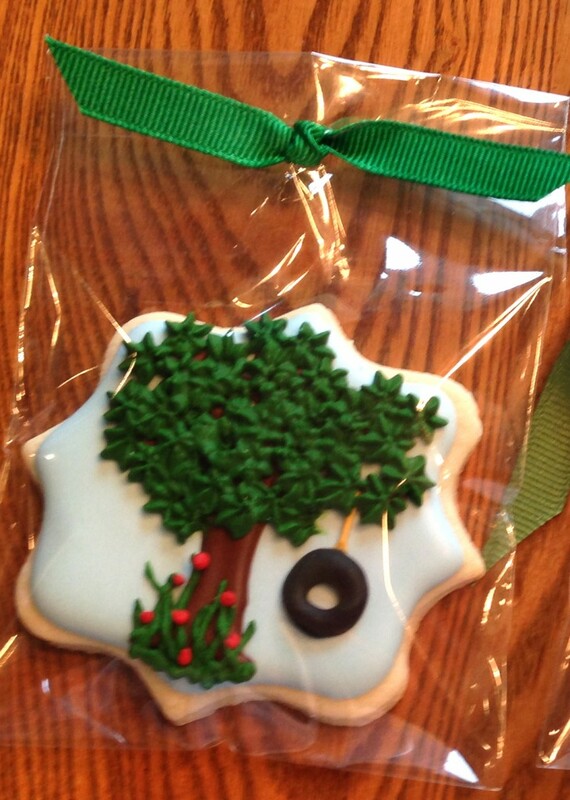 I also made a smaller cookie with a tree and tire swing on it, for a little whimsy. She loved the cookies and wanted me to make some of both for her event. I went on a search for tree cookie cutters. I found exactly what I was looking for at ThreeD Geek, on Etsy. Johnny and Edie tenBroek are the owners of the store and were really wonderful to work with. I’m pretty sure I drove them nuts with all of my questions but they were always very patient with me. The tree cutter is available from 2″ to 5″ with a price range of $3.50 to $6.50. They have a lot of really nice cutters and are willing to work with you to make anything custom that you can think of. I didn’t take a lot of picture of the process but they were very easy. First I piped the trunk and branches of the tree. When they were dry ( I now dry my cookies in front of a small table fan*) I piped the leaves onto the branches and filled in the empty spaces between the branches. I used a Wilton tip #352 with a fairly stiff icing for the leaves. They stood up fine and I was able to pipe them next to each other without the leaves melting into each other. For the tire swing cookies, I flooded the cookie with a pale blue icing. 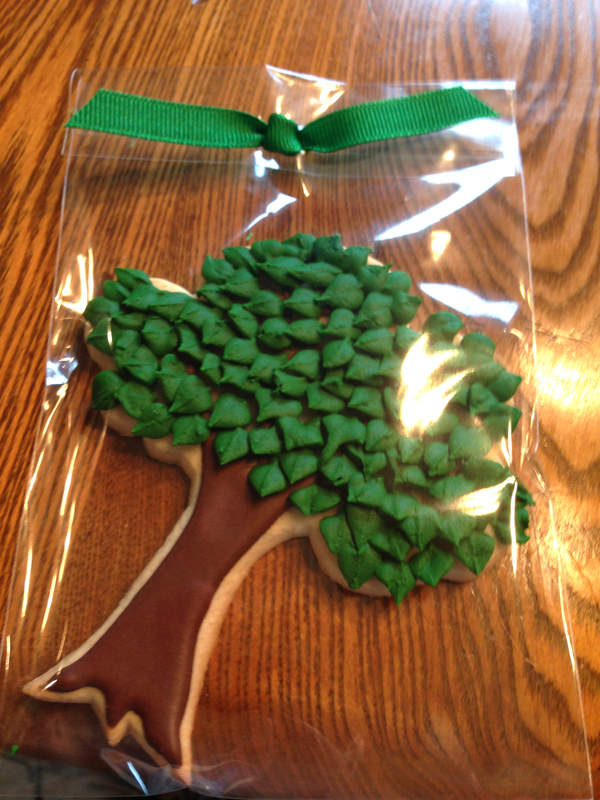 When that was completely dry, I piped the trunk of a tree and some branches on each cookie. When that was totally dry, I added the rope for the tire swing and then the leaves. 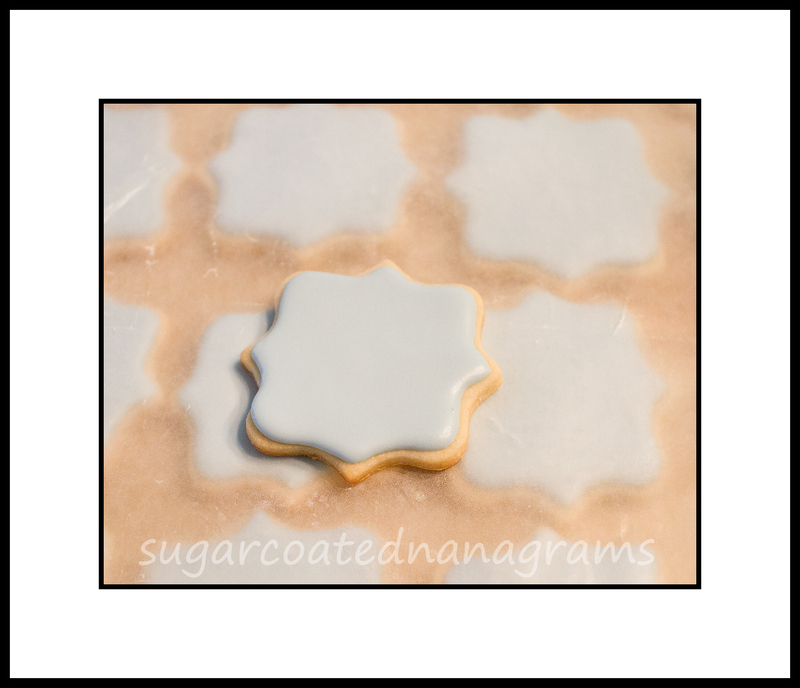 I used a Wilton #16 (small star tip) to simulate the leaves. I added the tire and the grass along the base of the tree last. I let the cookies dry for 2 days before I packaged them in cellophane bags with a little grosgrain ribbon. I didn’t take any “real” photos but I found a couple on my phone to show you what they looked like packaged and ready to ship. 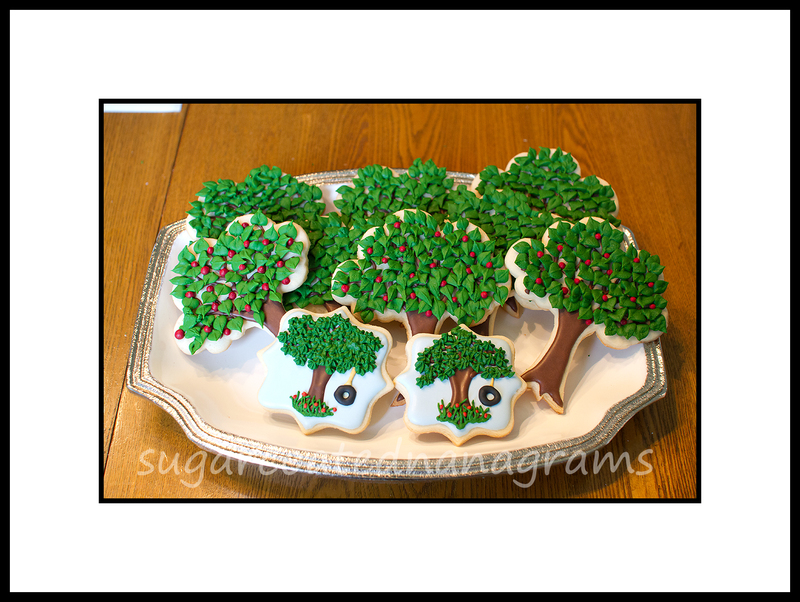 I made a few extra trees to make some apple trees for a fall cookie platter I wanted to put together. I really loved the apple trees. Next year I will make some with Fall colored leaves on the trees. *I have found that drying the cookies in front of a fan makes them crust faster, eliminates craters in piped dots like eyes and helps prevent color bleed.